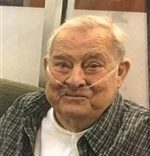 Herbert V. Webster, Sr., 81, of Savannah, Georgia and husband of Nancy Miller Webster, died Friday, February 1, 2019 in Savannah, Georgia. He was b orn in Savannah, Georgia to Charles Edward Webster and Rosa Lee Shea. 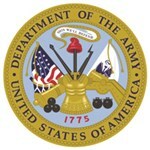 Herbert was a United States Army veteran. In addition to his parents, he was preceded in death by two sons, Charles and William Webster, and his brother, Joe Webster. He is survived by his wife of 55 years, Nancy Miller Webster; his son, Herbert V. Webster, Jr. and his wife Sheila; fourteen grandchildren, and his siblings, Susie Hudson, Meta Whitlock and husband, (Frank), and Rosa Caine and her husband, (Doug). The family will receive friends from 2 until 4 o’clock Sunday, February 3, 2019, at Gamble Funeral Service – 410 Stephenson Avenue. The funeral se rvice will be held at 12:30 Monday afternoon at the graveside, Greenwich section of Bonaventure Cemetery, conducted by the Reverend Buddy McKenzie. Remembrances: St. Jude Children’s Hospital – 262 Danny Thomas Place Memphis, Tennessee 38105-3678. I know that God is watching over all of you. My thoughts and prayers go out to each of his family members. May you be comforted during this difficult time. If there is anything I can do, please let me know.